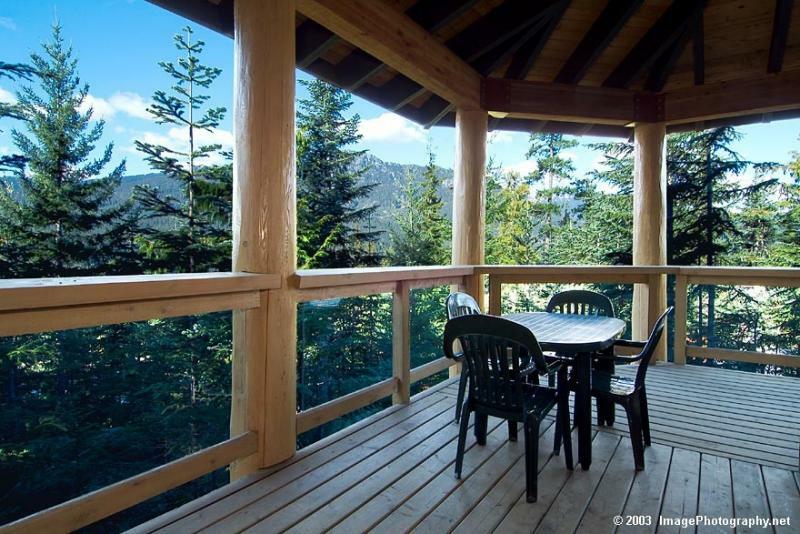 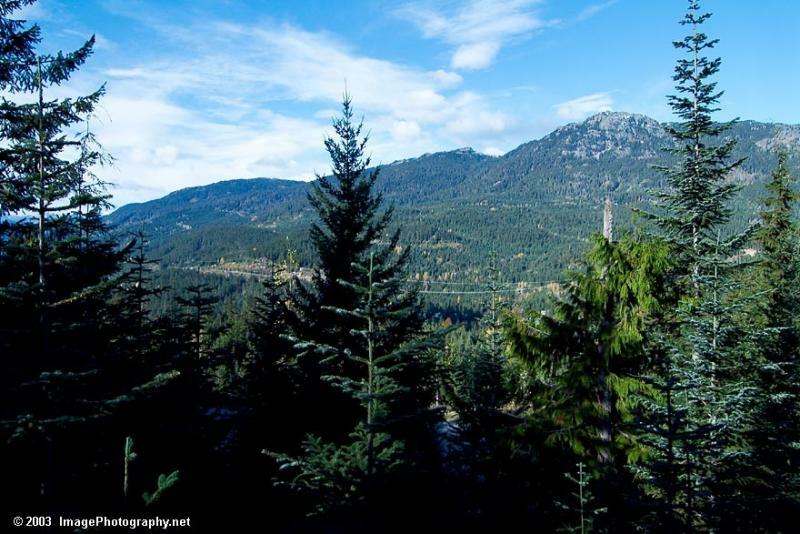 This Taluswood property is a beautiful ski-in ski-out Whistler vacation rental nestled on the slopes of Whistler Mountain and just above the family-friendly Creekside area. 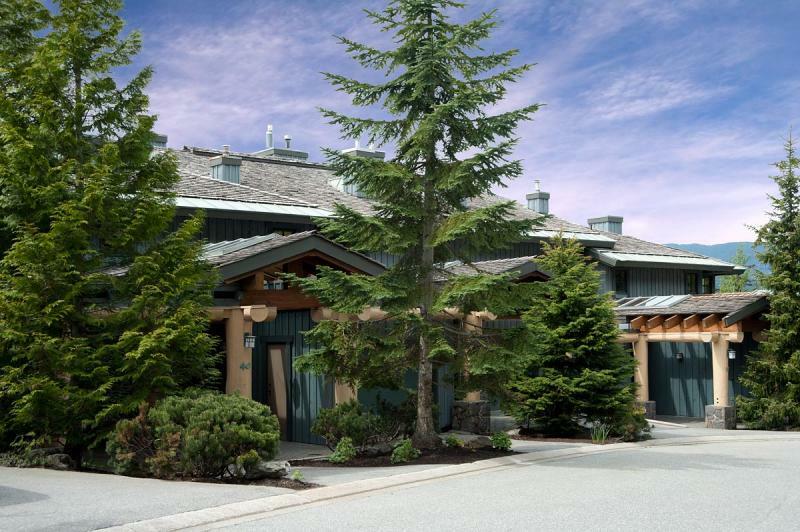 Located in the award-winning Taluswood luxury development, this Whistler accommodation is a spacious townhouse of unsurpassed quality. 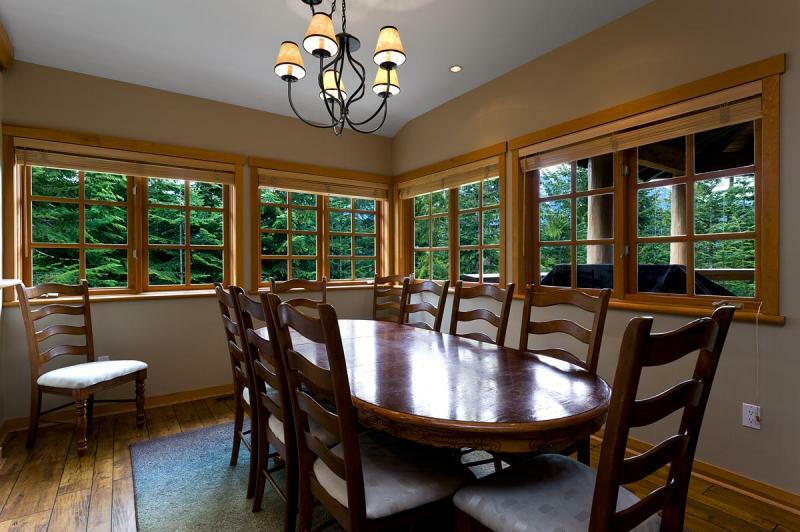 Taluswood is a fantastic option for large groups of up to 11 people. 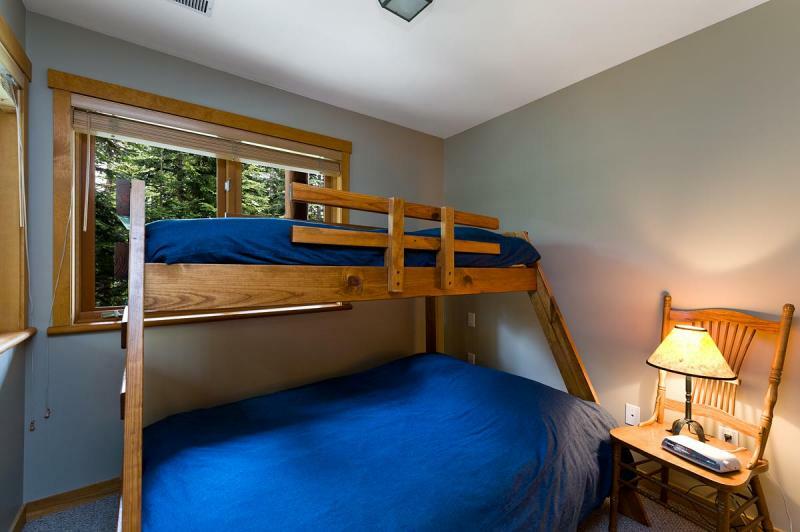 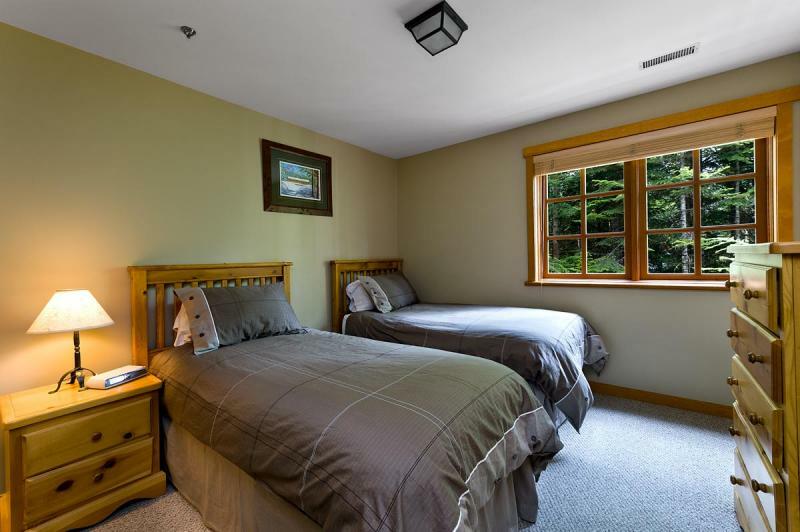 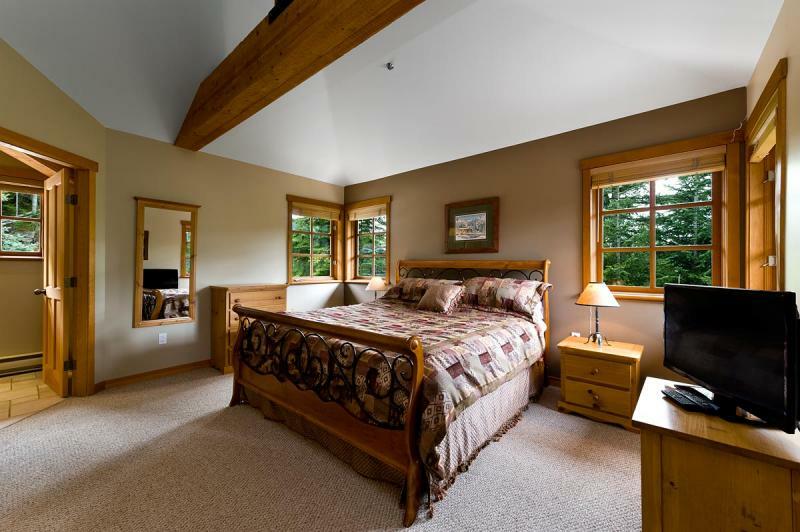 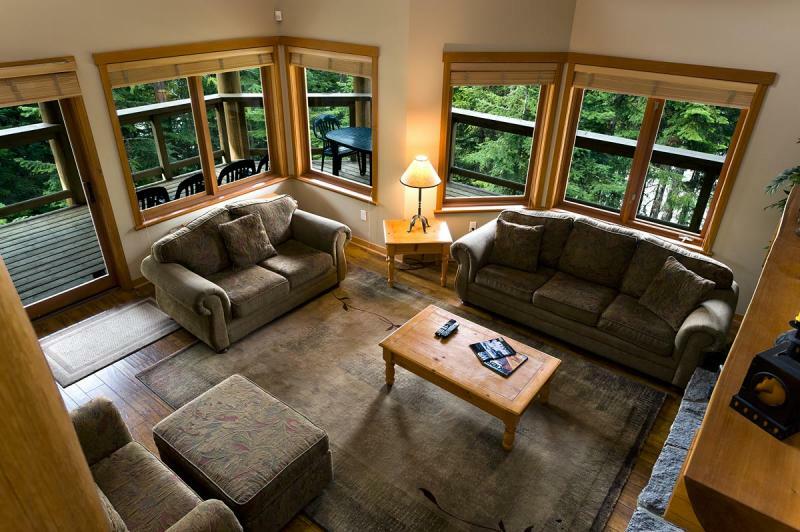 There are four bedrooms in this Whistler accommodation and an additional queen size sofa bed in the living room. 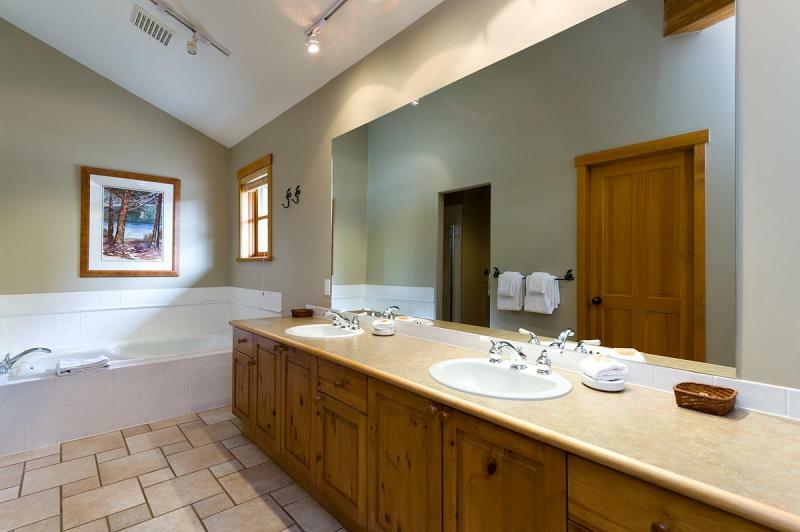 There are also three and half bathrooms with a large Jacuzzi tub located in the master bathroom. 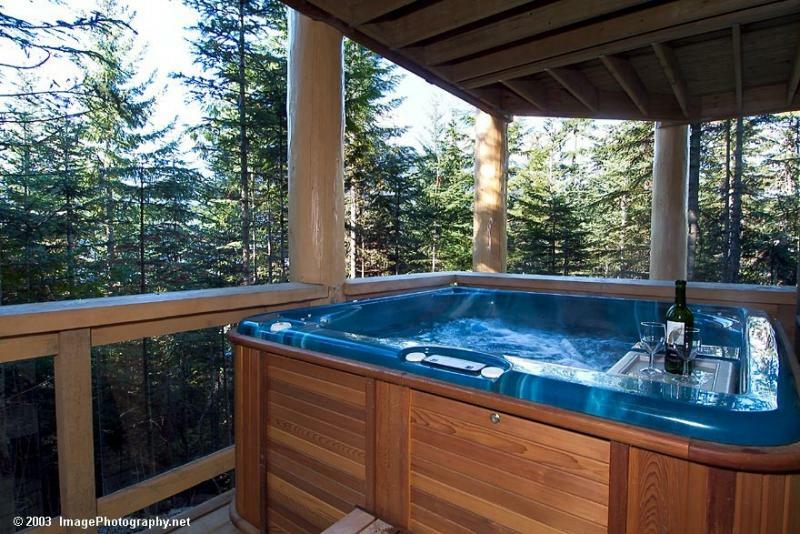 Unwind from a day on the slopes in the eight person hot tub located on one of two private decks- both with spectacular northern views. 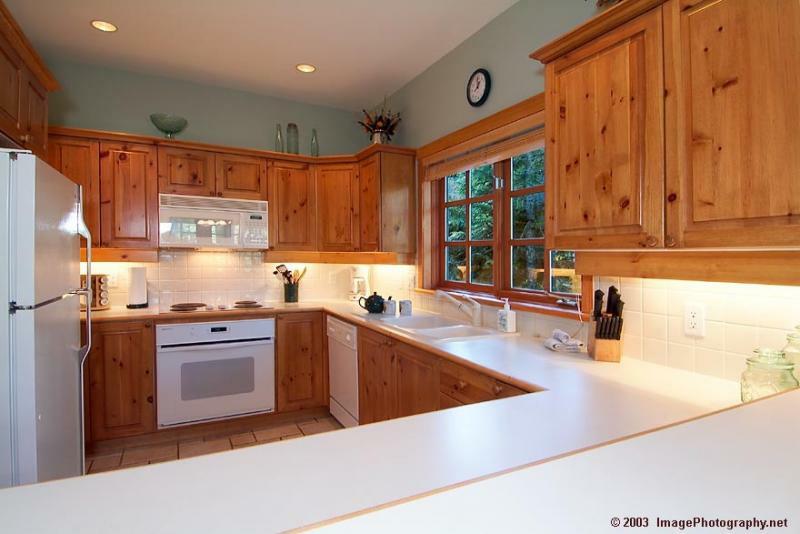 Prepare a meal together in the modern, fully equipped kitchen. 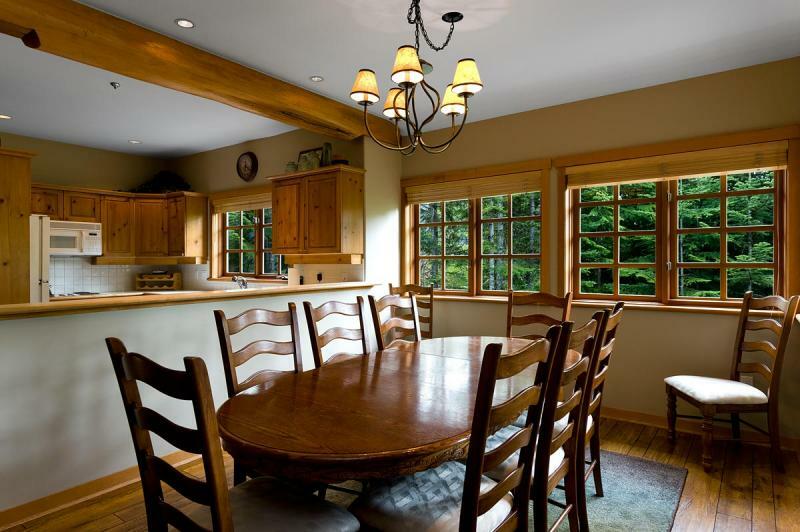 Keep warm with the heated slate floors or by the wood burning fireplace. 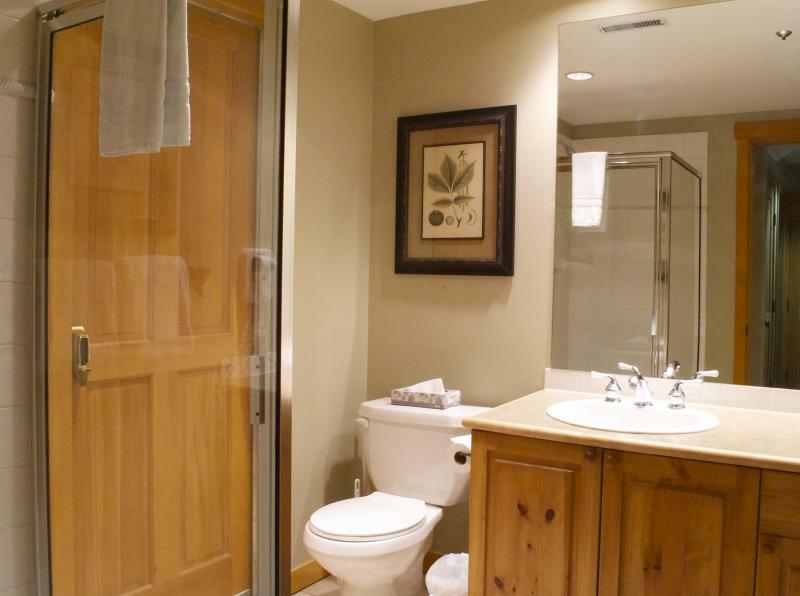 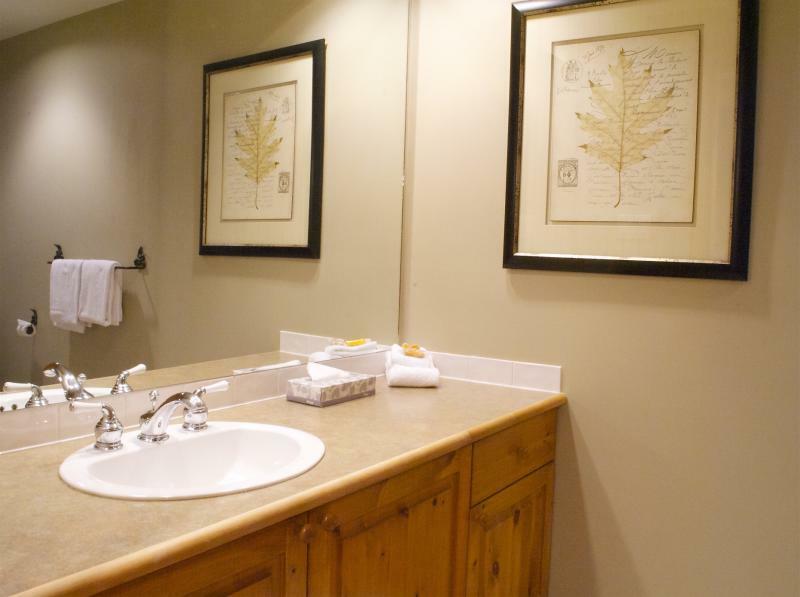 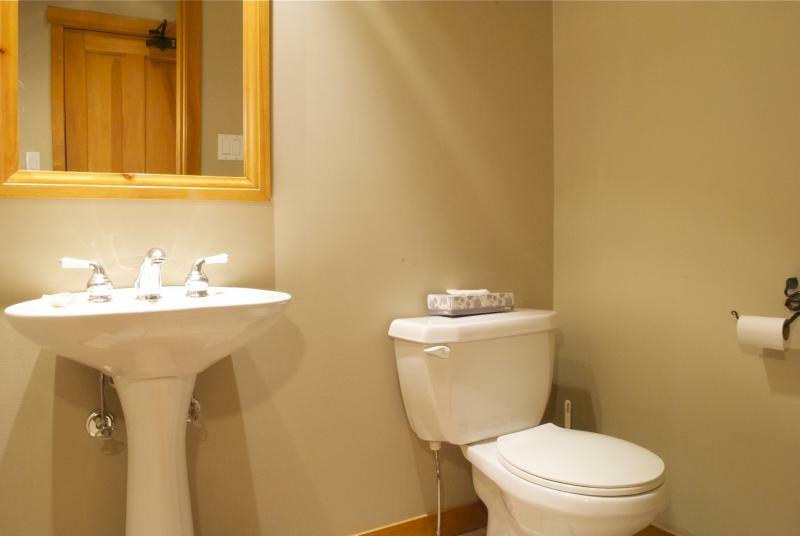 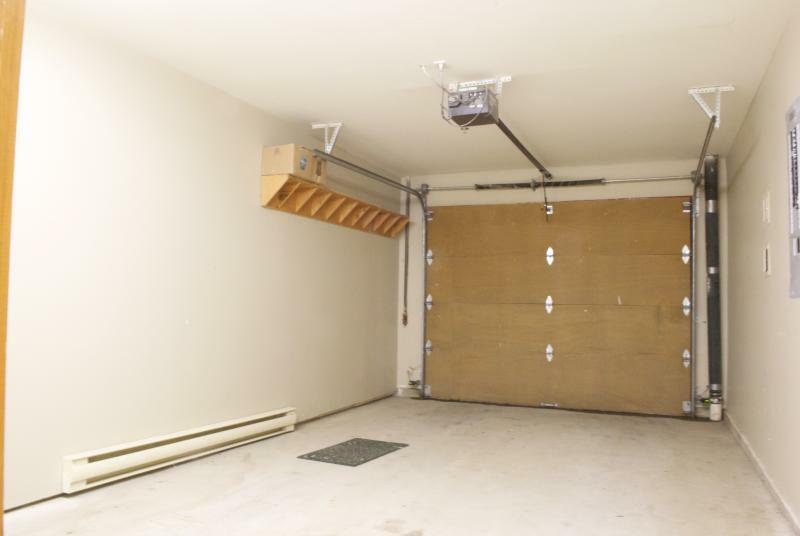 This Whistler accommodation also has an in-suite washer and dryer, and a private garage. 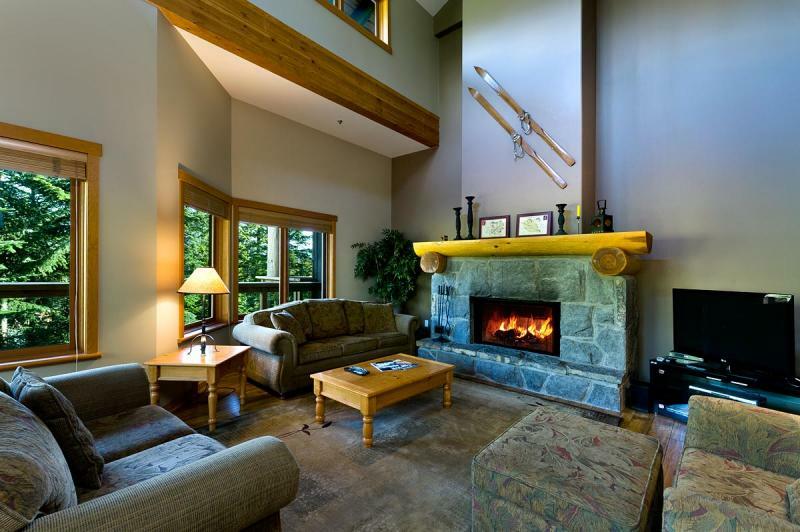 Creekside is a thriving, fun alternative to the main Whistler Village. 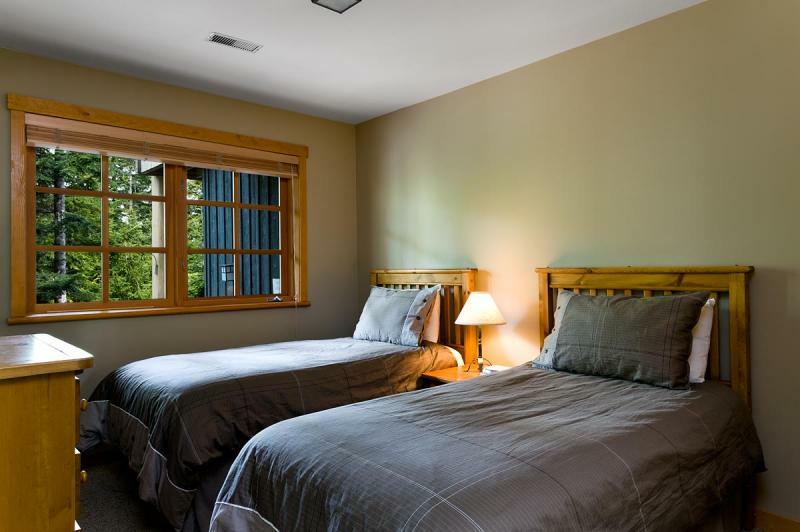 By staying at Taluswood, you'll be close to the Whistler Creek Gondola, which takes you right up to Whistler Mountain, and the PEAK 2 PEAK Gondola that connects you to Blackcomb Mountain.